After years of ho-hum outings, it looks like this year is really going to bring some much needed exhilaration back to E3. You know what, I love E3. There, I said it. As a younger gamer, I have found memories of digging through every gaming site and magazine to read all the amazing news that was being released. Glorious and amazing images of new games would make their debut at the show like celebrities walking the red carpet. It was, in so many words, awe inspiring. Ah, were we every so young? Some gamers now might not know or remember, but 10 or so years ago, games didn’t have a 1 or 2 yearlong marketing and advertising cycles. Games back then didn’t bombard you with over saturation of their content showing off teaser trailers, announcement trailers, release date announcements, developer diaries, gameplay trailers and review accolades at every turn. 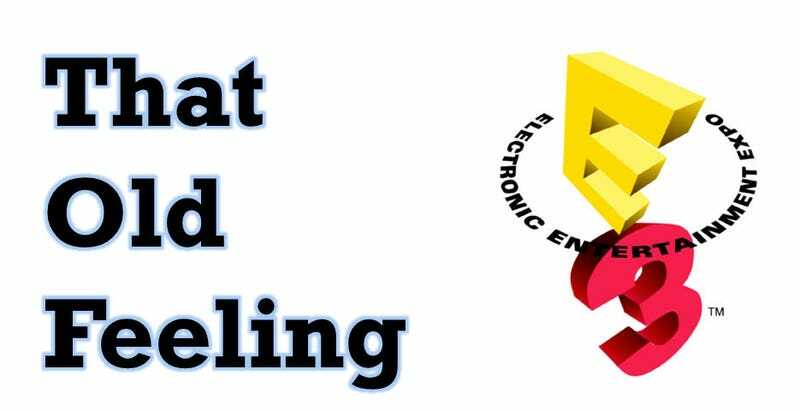 E3 was for many games, the first and only time you would see or hear about a game until it came out, so games had to make a great first impression as there was so much at stake. On top of that E3 scaled back in 2007, turning the giant trade show behemoth into a shell of its former self trading large scale booths for private meetings. The event fell from 70,000 to 3,000 attendees and even though the show has returned to the LA convention center, the scars of that cut back are still felt. Taking advantage of this scale back, many other trade shows like PAX started to thrive giving gaming companies even more options and choices on how/when to show their games to the public. With all of this factored in, I don’t think I am alone when I say E3 has lost a bit of its luster. This will be the third E3 I have attended and if the old adage is true, the third time looks to be the charm because this may finally be a banner year for the show. Now, I know Nintendo is not going (which to me looks like a huge misstep) but I am filled with hope because of one simple thing: the lack of information. In years past, editors of gaming sites could basically predict the entire show from start to finish, maybe missing one item here and there. This year information and knowledge are not just wanted by consumers, but Sony and Microsoft have actually have to give answers because there is no time left. These systems are out this year and there is not another time or a stage like this to make their plea to consumers. Between Microsoft lackluster reveal and Sony’s fairly impressive reveal, there is still much that we do not know and they will have to tell us. I hope we will get some hard information on pricing of the consoles; I am also excited because we will get to see what these consoles can do. Our current generation made it 7 years and they are dinosaurs at this point, I am excited to see the release of all that pent up creativity that was limited by the longer generation length. So, I look forward in hope to this year’s E3, who knows what wonders it will bring. Apologizes for the late posting and I will be off next week as I will be at the show, but look for a follow up article the Wednesday after E3 as per usual. To all you TAY’ers out there, let me know if there some game, booth or anything else on the show floor you want me to check out and I will try to cover it for you. Have a great week everybody.